WOW! Volotea Black Friday sale: flights across whole Europe for €1! Volotea just informed us about their super cool Black Friday sale. You can now book one-way Volotea flights for only €1!!! This is an amazing promotion and great chance to travel across Europe for super low price. You don’t need to be a member of SuperVolotea club either, it works for everyone! This Black Friday sale runs only until this 24th November 2017. Travel dates are until April 2018 so it gives you plenty of possibilites. You can also easily combine return flight from different airport if you want to get the best price (e.g. Prague – Nantes and return Bordeaux – Prague). 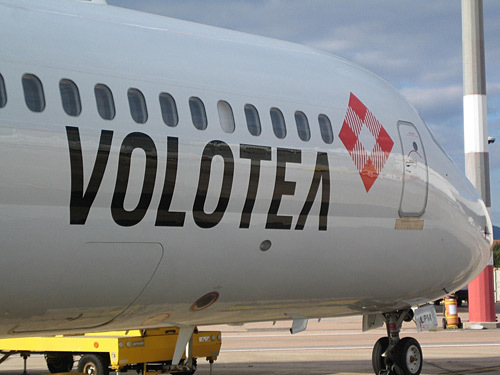 Hurry up and book your €1 flight with Volotea!! « HIT! Cheap flights to Canada: Vancouver, Calgary or Edmonton for €290!